When you leave your computer sometimes you forget to close the music or movie player. If your PC's speaker is turn on, this can lead to a embarrassing situation. Unless you're a girl, You might not like the idea of someone else knowing that you love Britney Spears songs :) This is why a tool like "Mute On Lock" become handy. Mute on Lock is a tiny app that runs on background and monitors your session. When you are locking your Windows workstation, it mutes the sound of your speakers. The app is available in portable and desktop version. 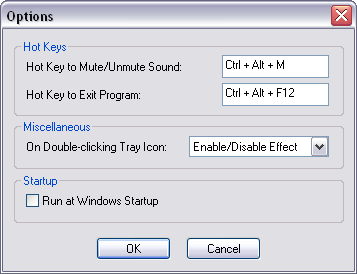 Mute On Lock supports Windows XP, Windows 2003 Server, Vista, Windows 2008 Server, and Windows 7. Generally, round in shape, these speakers fit beautifully into the ceilings and walls. You need not fiddle around with any settings; the connection can be established wirelessly between the receiver and the Bluetooth speakers. Covering the speakers may take care of the issue. Be that as it may, you should bargain vigorously on the sound yield. It is critical to ask if there are any extra charges, particularly if there should be an occurrence of crises.